Call: Danielle Taylor on 0403 023 802. Email: Danielle Taylor at danielle@australianbodyart.com.au. 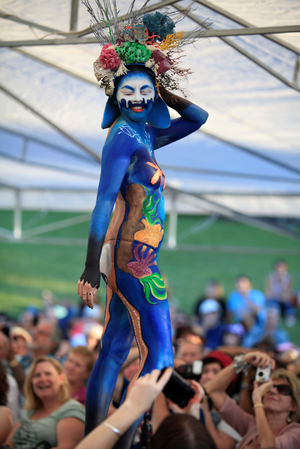 The Australian Body Art Festival is Australia’s premier body art event, attracting artists and spectators from across Australia and overseas.